Quitting smoking can be extremely difficult and typically one’s ease in quitting varies from case to case. It has long been a mystery as to why some people who smoke for years can just stop smoking no problem while others will have a hard time not lighting up again. New research, conducted on twins, has shown that one’s ability to quit may be genetic which could explain the apparent anomalies from case to case. 596 pairs of twins, 363 identical, and 233 fraternal took part in the study. Among identical twins, 65 percent of both twins quit in a two-year span if one twin quit. Among fraternal twins, the percentage was 55 percent. These results show that genetic factors are involved, since identical twins share the exact same DNA, while fraternal twins do not, Time reports. We need to keep in mind that the study looked at smoking behaviors of twins between 1960 and 1980, obviously the public’s perception about smoking changed in the United States during that time period. Researcher Fred Pampel of the University of Colorado noted in a news release that fewer people today smoke than in the past, but those who continue to smoke are more likely to be hard-core smokers who are most strongly influenced by genetic factors. The researchers said current policies to reduce smoking, including bans on smoking in public spaces and high tobacco taxes, may not be as effective as they once were since many smokers today do not smoke out of choice, but rather because they are addicted to nicotine. More emphasis is needed on nicotine-replacement therapy and counseling, Pampel said. 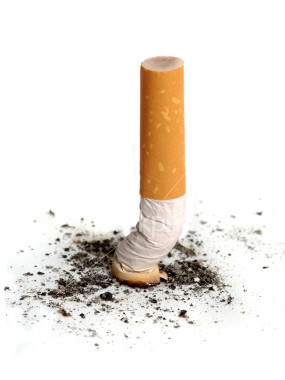 The more alternatives made available to smokers the more likely people will try to quit. Most smokers may want to quit, but have been unable to find a suitable replacement for their needs. The study appears in the journal Demography.